So … what exactly is a mobile safari? A “mobile “ as its know in these parts is simply a safari very similar to the concept of the original Kenyan safaris of the 1920’s. Your entire camp is packed and moves along with you from place to place. Should you choose a serviced safari it’s all done for you by your attentive camp staff and they would accompany you in a separate custom designed supply vehicle. If you choose a participation safari you will be packing the tent yourself and will be accompanied in the same vehicle by your guide and camp cook … all depends on your budget or what kind of service you would like. Your guide and staff stay with you for the duration of your safari unlike a lodge or hotel where they would change as you change places. 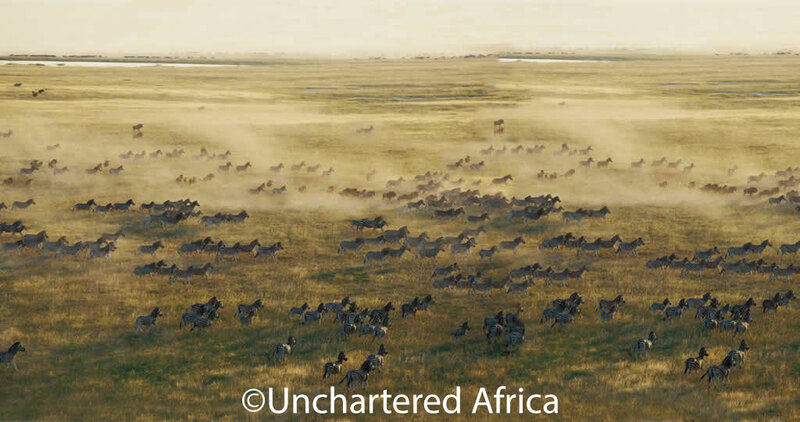 What is a serviced safari? The camp staff attend to your comfort by erecting and dismantling the camp and preparing delicious meals cooked on an open fire. A serviced safari has walk in ensuite meru style tents complete with your own bucket shower and bush loo, staff who prepare delicious meals throughout your safari and a camp assistant to take care of all camp duties. Book this safari as part of a small group of maximum 7 guests or book the entire departure as a private safari for families, honeymooners etc. You can also book a private vehicle and guide on any of our scheduled safaris subject to availability so you may share the camp with others but you have your own private vehicle and guide. 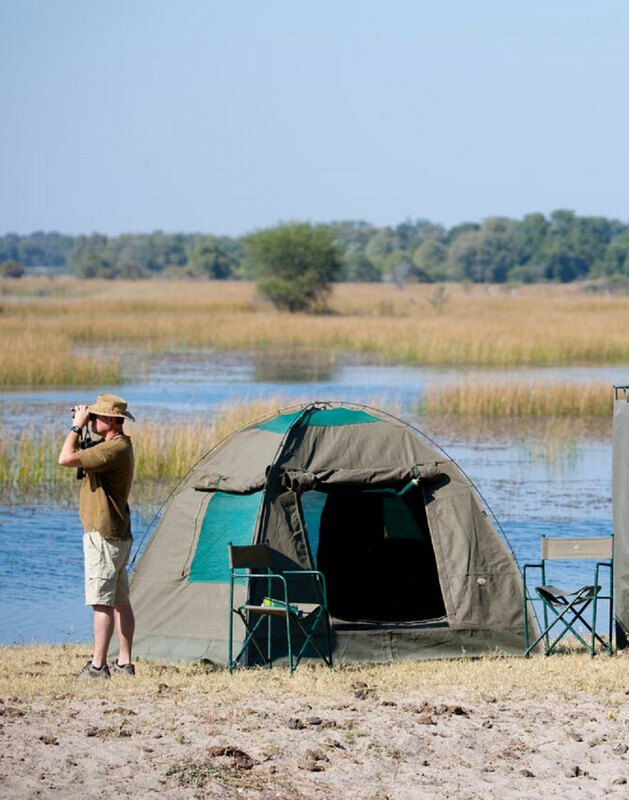 We offer three options of serviced safaris – the Great North Road and Moremi Magic are mobile camping safaris and the Kalahari and Okavango is a serviced mobile safari and lodge combination. What is a participation safari? 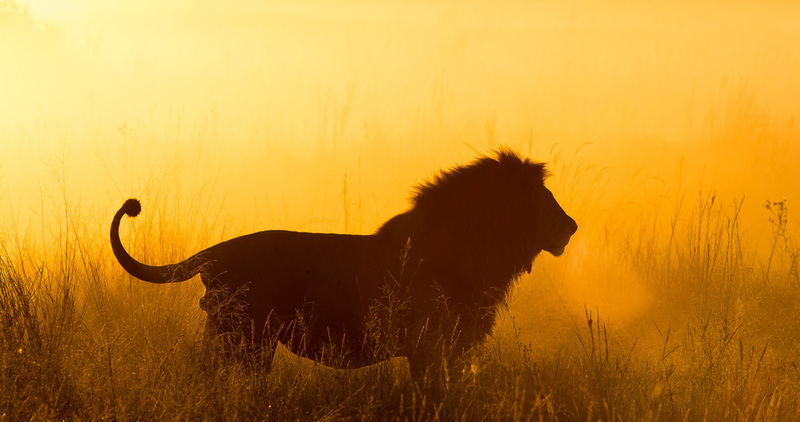 A participation safari is a mobile safari of between 2 and 9 guests departing on pre-determined dates. You have your own safari vehicle, professional guide, camp cook and specially designed kitchen trailer. 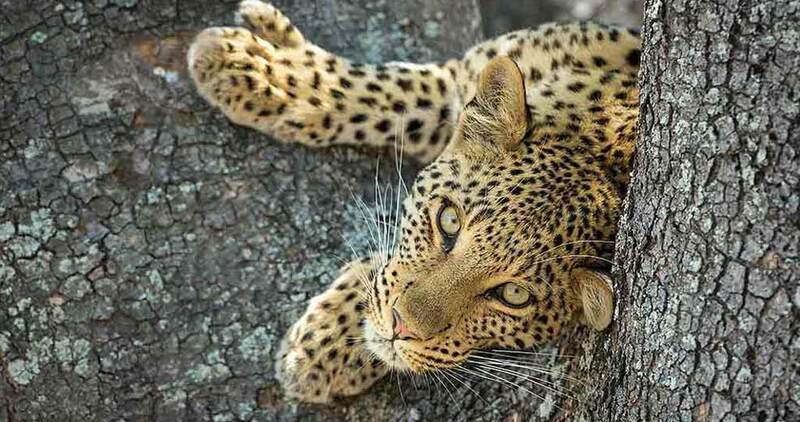 The Botswana Adventurer Safari offers a unique experience to budget conscious travellers with a full participation safari that takes you through some of Botswana’s finest National Parks and Game Reserves. Participation means that the guests will participate in all camp duties including the erecting and dismantling of the camp, collecting of firewood, washing dishes etc which all lend to authentic experience of a mobile safari. 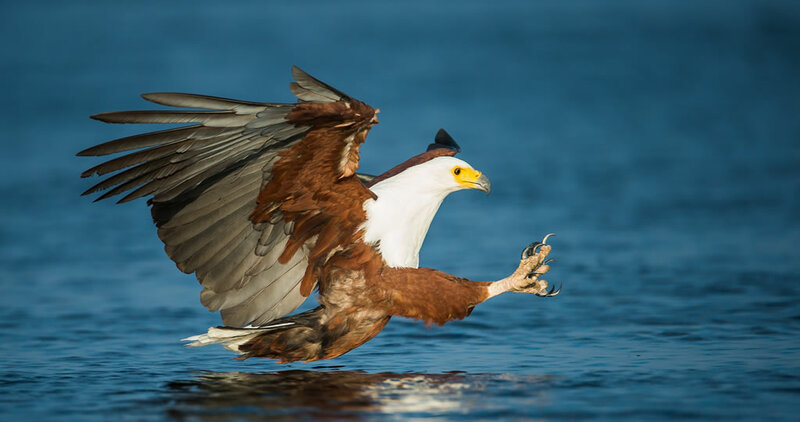 The Botswana Adventurer Safari meanders through Chobe National Park, Savute, Moremi Game Reserve, through the world-famous Okavango Delta and on to the vast Makgadikgadi Salt Pans. This safari departs from Kasane every Thursday with a minimum of 2 guests from March – mid December. Kasane has easy access to Victoria Falls and the low-cost airlines which operate out of Livingstone in Zambia. Why a mobile safari in Botswana? “Mobiles” are the most authentic way to experience an African Safari. 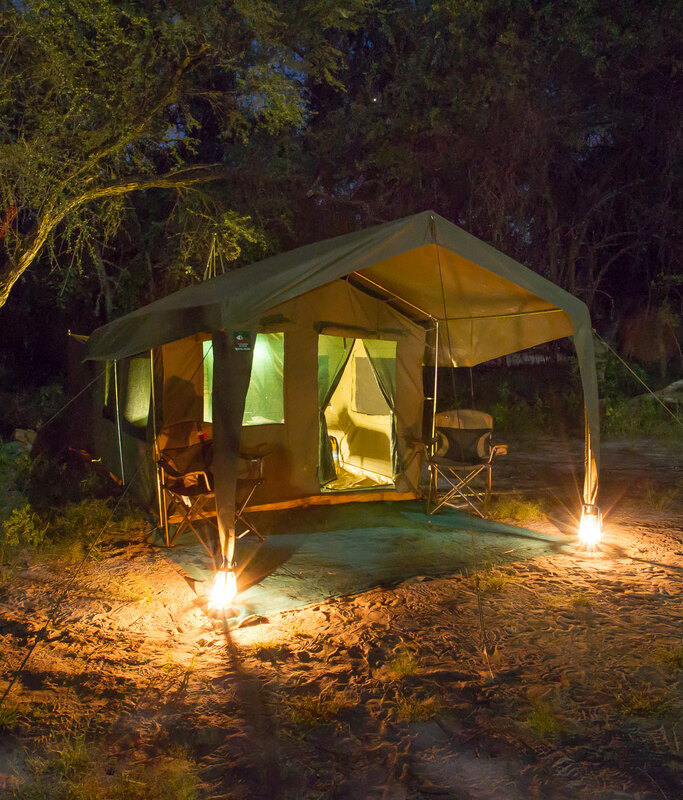 Firstly you sleeping under canvas, your camp is erected in the Botswana Bush in private campsites for the benefit of only your safari. Small groups of guests with a compliment of attentive camp staff and an experienced and knowledgeable guide … it does not get better than this.